First and foremost, I need to say that I am extremely excited about this hire that Memphis has made. I am excited because it is getting Memphis excited. There has been a lot of talk this week about Calipari’s last words when leaving Memphis. He said that the next coach would need to “hug Memphis back.” Pastner didn’t really do that. Tubby didn’t really do that, and during all of that time, Penny was there hugging. When this opportunity was available for Penny earlier on, it wasn’t the right time. It is the right time now. Which leads me to my next point about this hire. This hire isn’t about winning. Winning could be a by product of the process, but winning was not the first thing in the university’s mind when they decided on firing Tubby and hiring Penny. Afterall, Tubby just won 21 games and the program was progressing. It may have not been exciting, but it was working. This was about money. The university had to make the decision that it was better financially to fire Tubby, pay him $9.75 million, and hire an entire new coaching staff because it was better financially for the long term of the program to keep him. Penny brings money to the program. Penny will put people in the stands, and the Forum will be full again…at least for a season. Memphis easily gets their 9.75 back, and people are excited about the product again. Another reason that Penny is a good hire is because he will be intentional about getting Memphis talent on the roster. The Memphis Tigers need kids from 901 schools on the roster. Memphians want to see Memphis kids on the floor. The local talent has escaped to other programs over the past years, and Tubby wasn’t able to keep the good players around. Penny will be challenged to stop the flow of good players to places like Kentucky, Kansas, and Duke. There are two things that Penny has to do initially to be successful. First, he has to hire a staff that can help with gameday coaching. There have been several names that are being floating around, and I think that this is the most critical thing to the success of the Penny Hardaway era. He will have to learn how to coach. People will argue that he has been a successful coach, but they don’t take into account that he did so with the best talent on the floor in high school. Because of his celebrity, he was able to bring in some of the best kids into the East school district through his AAU program, and he built something great. They won, but it wasn’t because of his great sideline coaching. This is something that he needs to learn, and this is something that he needs help with. Secondly, he needs to flip recruits. To continue the Penny craze, he will need to get Wiseman and Lawson to be a Tiger. Seeing a Lawson on the Tigers roster again will be great, and being able to acquire the #1 player from the 2019 class will go a long way towards people supporting the program. The next step is to flip DJ Jeffries, from Olive Branch. If he can pull someone out of Calipari’s pocket, then Memphis people will go crazy. Those are the first 2 steps to recruiting success for Penny. Additionally, I have to believe that Penny can get other kids to flip their commitments as well. Penny has hosted these ARS Rescue Rooter Penny Hardaway National Hoopfest all over the country. It is time to put his name to use. I also want to suggest that he go after Jeamyn Brakefield from Huntington Prep, WV. He is a sophomore that is committed to Kentucky that has played in some of the Hardaway tournaments. Now is the time to use that Penny name to see if it is worth a dollar. The challenge for Memphis fans in this scenario is to be patient. Just because Penny is the new name doesn’t mean that the Tigers are instantly going to change. 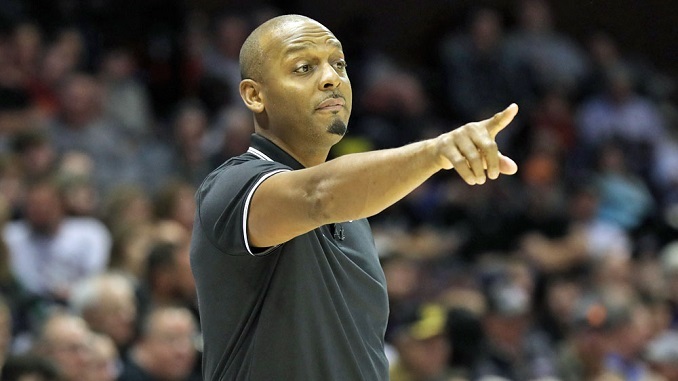 This hire is late in the recruiting game for this year, and we probably won’t see any of Penny’s people showing up until the 2019-2020 basketball season. Fans needs to allow him to learn this year. If he has a 20 win season in his first year, but still misses the tournament, that is a success for his first year. The first year needs to be judged by the recruits he will bring in for the second year. This is the largest marker for success in his first 12 months. If he can learn to coach and start to being in local and big name recruits, Memphis has found a way to turn a Penny into a Pound, but that is just my two cents.